Labour’s deputy leader Tom Watson was on the campaign trail in Wakefield today following the launch of the party’s election manifesto. Mr Watson joined Mary Creagh - who is seeking re-election in the city for Labour - on the Portobello estate. 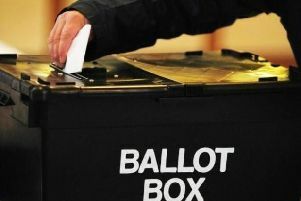 The party is up against a big Tory lead in national opinion polls ahead of the vote on June 8. Mr Watson, who met party supporters on the estate this afternoon, said people around the country were realising that their incomes were suffering as a result of Conservative policies. He said: “We want to give people the opportunities that have been taken away from them. People have been held back by this government. Earlier today in Bradford, Jeremy Corbyn launched Labour’s manifesto, titled “For the many, not the few”. Among the policies is £30bn in extra funding for the NHS, paid for with increased tax on top earners and private medical insurance. Mr Watson praised the work of Mary Creagh on NHS issues as Wakefield’s Labour MP. Wakefield is seen as a constituency which could fall to the Conservatives after Ms Creagh won in the 2015 general election with a majority of 2,600. But voters were worried about local authority funding, redundancies in schools and NHS and social care cuts when asked on the doorstep, Ms Creagh said. She added: “Every day we have got dozens of people phoning in the constituency and door knocking.